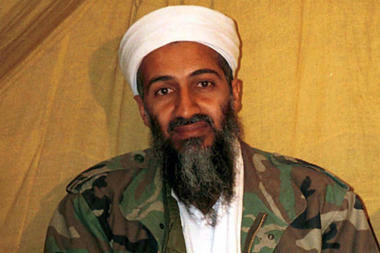 Q: How did Mr. bin Laden live in Pakistan undetected? The report bluntly faults "collective incompetence and negligence." Page after page describes near misses, complacency, inefficiency, and negligence. When bin Laden wanted to buy the Abbottabad compound in 2005, he did so under a pseudonym and despite regulations to prevent foreigners from buying land there. The law also requires a face-to-face consultation, which was (and commonly is) ignored, says the report. Bin Laden also went to great lengths to avoid detection: He wore a cowboy hat and walked under grape arbors when outdoors to avoid being spotted from the air. Four electric and gas meters were installed at the property to disguise the excessive use of both utilities. Q: How was the US raid accomplished so easily? "According to one American account, the mission was as easy as 'mowing the lawn,' " the commissioners write. A major embarrassment for Pakistan was that the US helicopters had been out of Pakistani airspace for 20 minutes before Pakistan scrambled its jets. The report also states that the raiders had lots of unseen help. The US helicopters "were probably guided by ground operators" outside the compound, the report says. It notes reports of "suspicious activities" indicating CIA involvement, such as the cutting of trees to clear the helicopters' approach, the renting of a house near the compound by supposed employees of the US Agency for International Development, and the movement of four or five Land Cruisers from the US Embassy in Islamabad, probably filled with CIA agents for backup. Q: Were Pakistani government officials sheltering bin Laden? Its sharpest criticism is for the many near misses and "breathtaking incompetence and irresponsibility." Taken together, these "added up to something that should not be so easily explained away. Taken together they suggested the possibility of something more sinister." The report does not rule out government complicity in bin Laden's being in Pakistan: "Given the length of stay and the changes of residence of [bin Laden] and his family ... the possibility of some such direct or indirect and 'plausibly deniable' support cannot be ruled out." Q: How long had bin Laden been in Pakistan? He and his family reportedly entered Pakistan in mid-2002, spending time in the frontier city of Peshawar and in the restive tribal agencies on the border. He then moved to the Swat Valley, then a well-known tourist area of Pakistan. About a month later he moved to Haripur, and then – with wives, children, and grandchildren – to Abbottabad in 2005. At one point, the daughter of one of the compound's guards recognized a TV image of the man she knew as "poor uncle." When she brought it up, the family's TV privileges were revoked. Q: Has the raid had an enduring effect on US-Pakistan ties? Washington and Islamabad have never really trusted each other, especially in the past decade. "[The US-Pakistan relationship] is not rooted in a tradition of shared culture, political perceptions and strategic interests," the report says. "More often it has pretended to be a strategic relationship without being one, except for brief durations of overlapping interests." Seth Oldmixon of the nonprofit Americans for Democracy and Justice in Pakistan says the leak may help "by introducing a much-needed jolt of transparency" and serving as a catalyst for discussing where the nations' interests converge and diverge. It could also give Pakistanis a helpful, honest glimpse of the inner workings of their government.